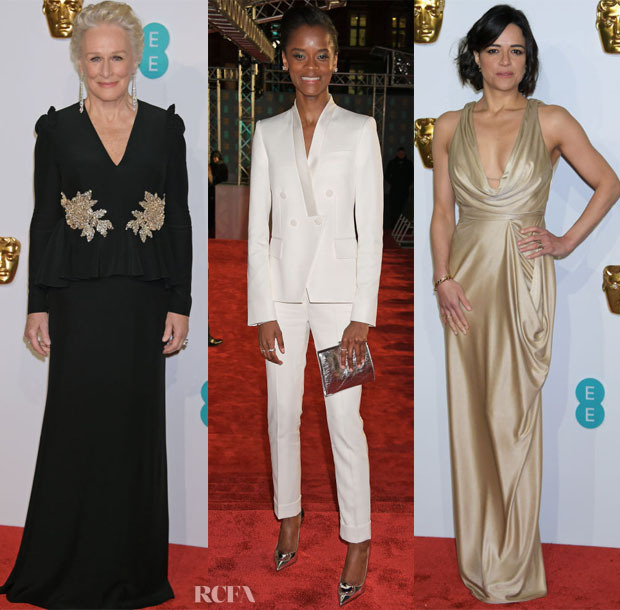 There was an abundance of elegance at the 2019 BAFTAs on Sunday (February 10) at the Royal Albert Hall in London. Amy Adams: The Best Supporting Actress nominee struck a pose in a merlot Prada gown. Removing the belt and brooch would have allowed the statement shoulders and rich colour to shine. Salma Hayek: Wearing Gucci with a Gucci headpiece, she demonstrated her flare for fashion and showed the brand can still make a statement without its typical clash of colours and patterns. Boucheron jewels complete her look. Glenn Close: The Best Actress nominee has an innate sense of soft tailoring and what suits her. She carried off this Alexander McQueen look with graceful ease. Letitia Wright: It was all about clean tailoring for the ‘Black Panther’ actress with her Stella McCartney Pre-Fall 2019 suit. Her metallic Christian Louboutin ‘Moon’ heels and Stella McCartney bag brought some futuristic drama. Michelle Rodriguez: The ‘Widows’ actress channeled Old Hollywood glamour in Jenny Packham Archive. Her styling plays into the effortless feeling of the drapery. Irina Shayk: The model took the plunge in tailoring. The pendant appears to be floating in some photos because of the delicate chain — it is doubtful that’s the intention. Amma Asante: The filmmaker wasn’t bothered about bold colour or pattern in her Nicholas Oakwell Couture gown. She carried it off with her statuesque beauty. Christian Louboutin ‘Jonatina’ sandals completed her look. Marina de Tavira: The ‘Roma’ actress was wrapped up in an embroidered Oscar de la Renta gown that will draw comparisons to Claire Foy’s dress. 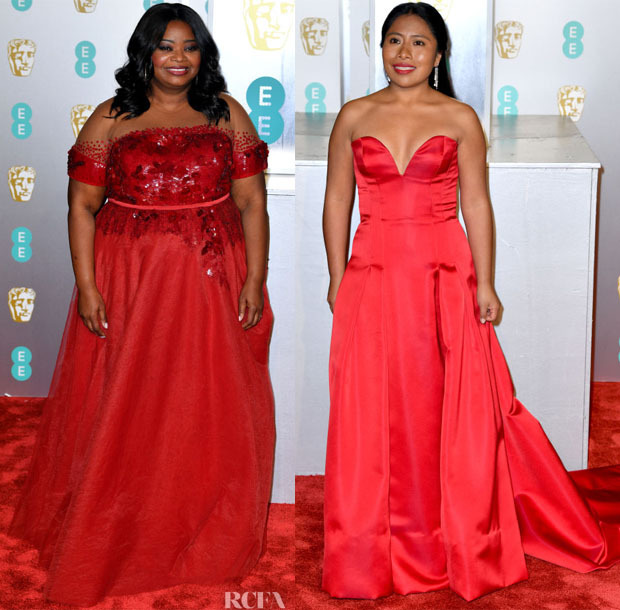 Octavia Spencer: Illusion necklines are certainly nothing new, but I found myself drawn to the actress’s gown with its scattering of embellishment. Yalitza Aparicio: The ‘Roma’ actress was another beauty in red with her Alberta Ferretti Limited Edition dress. The plunging sweetheart neckline and colour were the only details needed. 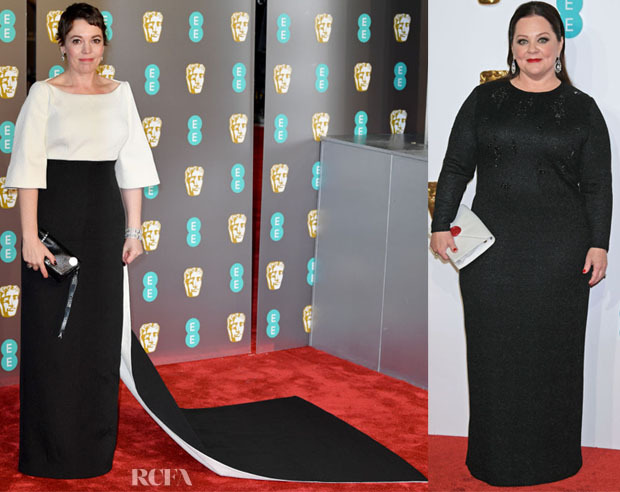 Olivia Coleman: ‘The Favourite’ actress brought refined elegance in a bespoke Emilia Wickstead gown. The monochromatic design with sharp shapes was most effective. An Akris ‘Anouk’ bag and Atelier Swarovski By Penelope Cruz Fine Jewelry completed her look. Melissa McCarthy: She might have embellishment and blinging jewellery, but the ensemble still feels rather serious on her. More colour would have been brilliant. Who Was Your Best Dressed At The 2019 BAFTAs?